This section is designed to assist Westlake Village home sellers. Selling your home can be a complex process. 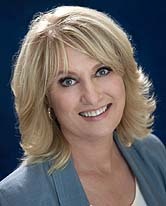 As a seasoned Thousand Oaks area listing agent, I will help you with the entire home selling process. As your listing agent, I will help you get the best price for your home and help sell it in the fastest possible timeframe. Are you considering selling your Newbury Park home? I can help. Please fill out the simple Home Sellers Request Form below to receive a free analysis of your home. Please note, there is no obligation and your information will be kept strictly confidential.